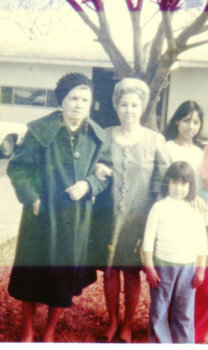 Great Grandma, Grandma, Older Sister, Yvette. Yvette Allan, a San Antonio lifetime resident, owns and manages Above and Beyond Caregiving, Inc. – a provider of personal care service in San Antonio, Texas. Starting from Yvette’s great grandmother who lived in her parent’s home until she passed away, Yvette was already born in a caregiving atmosphere and lives along with her grandparents. Seeing the care and the love that was given to her, especially by her grandmother Lily, a religious woman, who became the role model of how Yvette chose to provide care and to put other’s needs first before her own. Grandma Lily used a home care provider for the last six years of her life. Yvette then chose to become a stay-at-home mom for her two boys until they no longer needed her full-time attention. Becoming a single parent, she went to school for business administration and began her career in Home Care Management. She always has a passion for becoming a caregiver or homemaker. She gained business knowledge in the 13 years she worked at other home care agencies before she started her own business, but it is her personal experiences and the love of God that drive her to provide excellent care. Her life was then centered on a Non-Skilled Home Care Service. Not too long ago, her mom, a stay-at- home wife for 63 years and a mother to a disabled son, passed away at home with Yvette and her sister caring her 24/7 and was under the supervision of Hospice. She too became an amazing role model for Yvette. 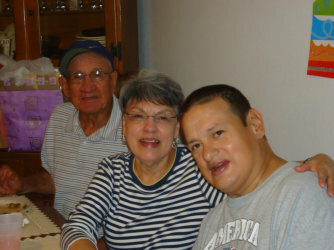 Yvette now takes care of her dad and disabled brother. For her, it’s an honor and a privilege to care for them, and she completely understands that other people cannot do so due to family, jobs, distance, etc. That’s the reason Above and Beyond Caregiving exists. Therefore, she has experiences in this type of job and knows what the clients and their families expect and deserve, what makes a good employer, what support and training caregivers need in order to do a good job. It is simple and universal. We must treat others as we would like to be treated, which may include allowing those who are capable to make their own choices even if we may not agree. Thank you in advance for the opportunity to serve you and your loved ones with our in-home care services. We plan to treat everyone with compassion, dignity, respect and will ensure that every staff member at Above and Beyond Caregiving has the same integrity and goals that will contribute to our commitment. This is not a business or a job for Yvette; this is a life calling and a ministry.